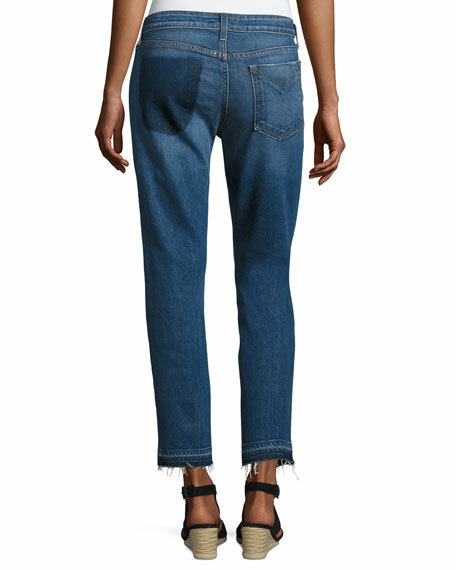 Derek Lam 10 Crosby Denim "Mila" boyfriend-fit jeans with discoloration and patchwork details. Approx. measurements: 8.5" rise; 27" inseam; 13" leg opening. Modified five-pocket style with discoloration at missing right back patch pocket. Relaxed through thighs; slim fit through straight legs. 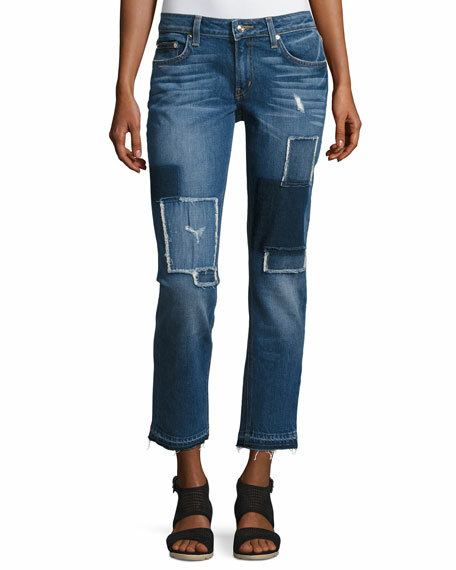 For in-store inquiries, use sku #1957259.